Orbital is a virtual reality gaming experience designed to explore the use of traditional narrative structure to enhance immersion in virtual reality. 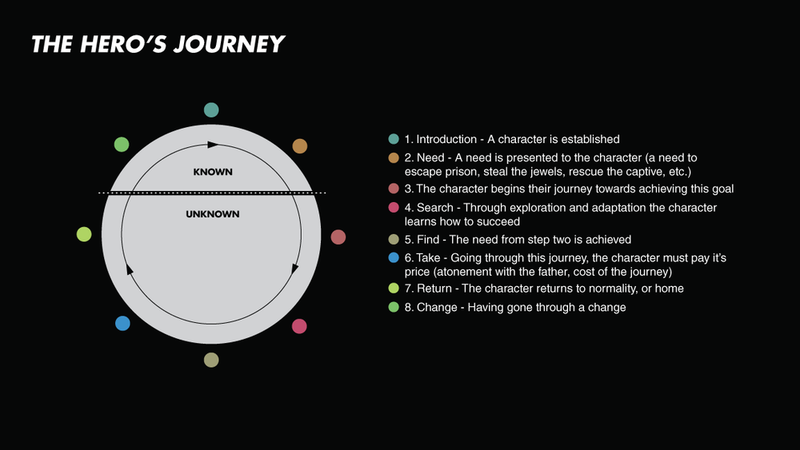 The story structure of Orbital was developed based on the developmental steps of ‘The Hero’s Journey,’ a narrative pattern identified by Joseph Campbell. 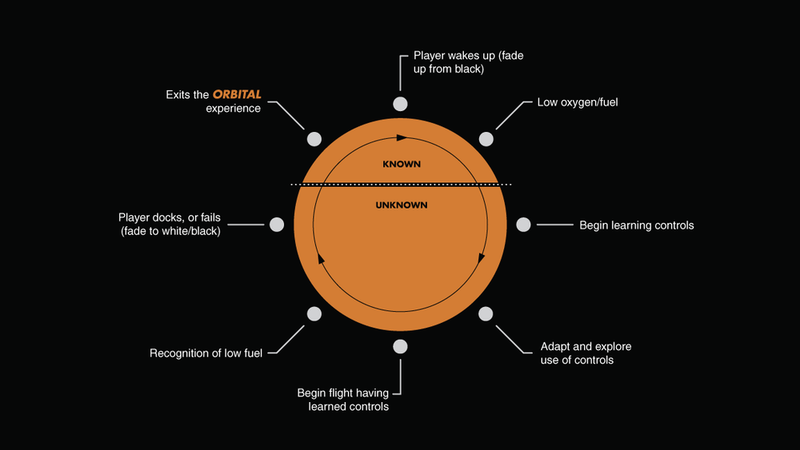 Using this standard narrative pattern, Orbital is capable of immersing the player quickly and completely for the entirety of play time. When searching for inspiration for the creation of a gaming experience. It was important to study games enjoyable regardless of duration of gameplay. The primary games researched for inspiration were Kerbal Space Program, Mount and Blade: Warband, Gang Beasts, and Octodad. Through study of each of these games, a consistent pattern emerged through simplicity of concept and story/narrative. As my gaming experience was intended to be playable in virtual reality, users would need to be able to play through the entirety of the game in a short period of time. This meant that the overall concept and narrative would need to stay quite simple, allowing users to play through an entire experience quickly from start to finish. In an attempt to create an experience as short and successful as the games that inspired it, a concept by Joseph Campbell called ‘The Hero’s Journey’ was used. ‘The Hero’s Journey’ is a concept of narrative pattern, stating that all great stories and myths could be broken down into a series of simple narrative steps. In Campbell’s original outline, twelve steps were created to describe narrative process. This worked quite well for older myths as they tend to be more drawn out, but breaking down the games above into these twelve steps proved to be difficult. Fortunately, a writer named Dan Harmon had gone through this trouble already, and had created a slightly revised list of steps. This revised ‘Hero’s Journey’ was built up of eight narrative steps, which allowed the pattern to be more scalable, and apply to a broader range of projects. The eight steps of this journey are shown in the diagram below. The first concept for a virtual reality game was based around the player taking control of a battery. This battery was capable of rolling through racing style maps, where the layout would be inspired by electrical diagrams. The player could control the battery by tilting their head forward backward left or right. Next was a game where the player controlling a pinball is tasked with escaping a pinball machine. Maintaining the dynamic virtual reality control of the battery idea, while introducing a narrative requirement to the player (a need to escape). A strange concept, Transplant would place the player on a gurney and require that they launch their limbs across a hospital room to a needing patient on the other side. Transplant would be ‘won’ by accurately launching all limbs which magnetically hook to the other patient. This seemed interesting, but lacked the desired narrative. Originally called Thrusters, this idea laid the basis for the Orbital experience. In Thrusters, a player controls a ship floating in space. The ship's rotation would be bound to the rotation of the virtual reality headset. If a user looked up, down, left, or right, the ship would turn in that direction. The player also would control the thrust, through a secondary hand control. This provided the most freedom in narrative development, and warranted further exploration. With a rough footing laid out, production of Thrusters began. The first work being done on creation of the spaceship users would pilot. At first the design of this ship was more informed by nature, originally mimicking the shape of a Nautilus. This curved design however yielded a shape that failed to adequately reference existing spacecraft designs. It looked more like a submarine than a spacecraft, and was eliminated as an option due to this ambiguity. Learning from mistakes made on the Nautilus craft, the next design was to be informed by construction equipment. Large, clunky, and rugged; spacecraft need no aerodynamics so a large part of this design was made with an emphasis on square edges and an awkward center of mass. Inspired primarily by mining equipment, the hope was that pushing this center of mass to an awkward position would further emphasize the only possible use could be space. While developing the shape and interior of the Mining craft, and beginning construction of the story. Thrusters was informed heavily by a trip to the East Coast Game Conference, an annual game design conference in Raleigh, North Carolina. Sponsored by Epic Games, a game design studio in the area, many virtual reality developers were in attendance. Giving lectures on the struggles of developing for virtual reality, as well as the pitfalls to avoid. Thrusters would unfortunately fall into quite a few of these pitfalls. The largest being the use of the head to control the rotation of the spacecraft. While traveling forward, if the user wanted to turn left, they would look left. This look to the side while moving is one of the largest in a long list of no-nos to keep players from feeling motion sickness. The use of the head to dramatically control any aspect of the game would also yield a sore neck. Virtual reality headsets are not light, and even in a short experience could result in slight discomfort. A secondary focus of the conference was the introduction of the HTC Vive. A fairly new virtual reality head mounted display, which at the time was the first to implement hand controls into a VR experience. This addition of hand controls allowed for a new method of interaction with a video game. This new ability of interaction also altered the need for a spaceship. The introduction of this style of hand controls made controlling a ship feel disconnected. 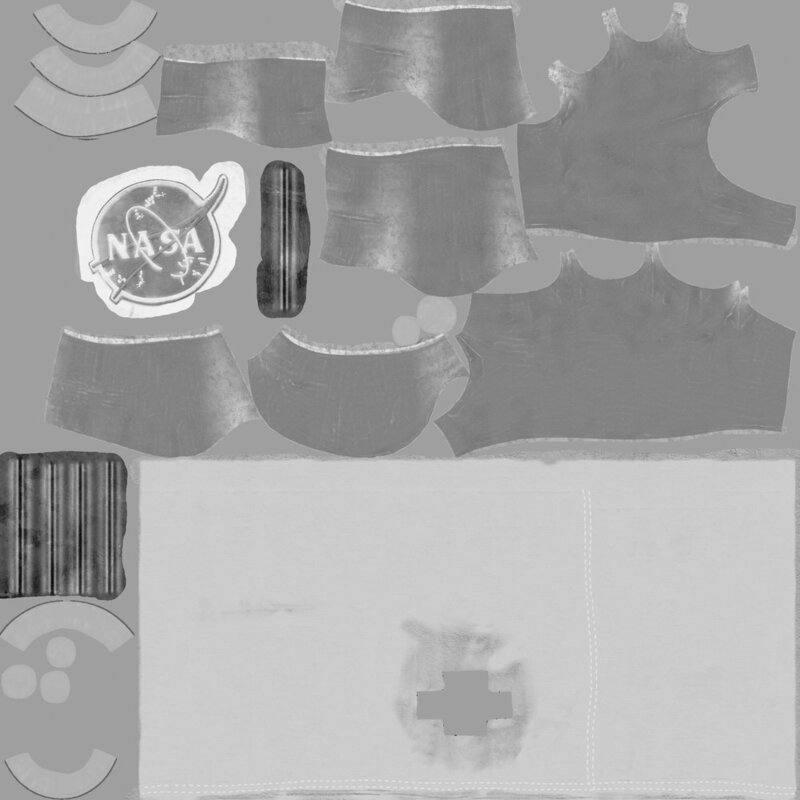 The spaceship concept was dropped entirely in favor of a spacesuit, where the spacesuit would be the only thing keeping the player alive on their spacewalk. After taking these big steps back and rethinking the control system, Orbital was born. Orbital, similar to Thrusters was to take place in space. After deciding on the HTC Vive as the virtual reality headset the game would be developed for. Orbital would instead be controlled through the hand controls, where the rotation of the spacesuit would be tied to the right hand instead of the head mounted display. This would allow the user to still feel a natural sense of control, without paying the price of motion sickness. The most influential discussion at the East Coast Game Conference towards the development of Orbital was a lecture on character creation. In that lecture the importance of process was made clear. When creating a character, never start with characteristics. It winds up being empty, a meaningless facade. For example, when creating a character’s walk cycle, the first thing that needs to be created is a backstory. Starting with narrative genre, what type of film would he/she/it exist in? What is it that this person or thing lives in? Based on the environment this character exists in, they may walk in one fashion or another. Being in an action movie, they may walk with more purpose, maybe in a romantic comedy this person walks with more of a shuffle. The character’s behavior is built entirely upon the story. In Super Mario Bros., Mario is tasked with saving the princess. Why is he tasked with saving a princess? What does that say about Mario as a character? If he were instead tasked with saving a wrench, how would that change the gameplay experience? A character simply wanting something isn’t enough, instead it is better to ask why they want that thing. The Orbital experience was created using a multitude of developing tools. For production of the digital assets used in the experience, Autodesk Maya and Pixologic ZBrush were both used extensively. The standard pipeline for a digital asset would start with a model constructed in Maya and further detailed in ZBrush. 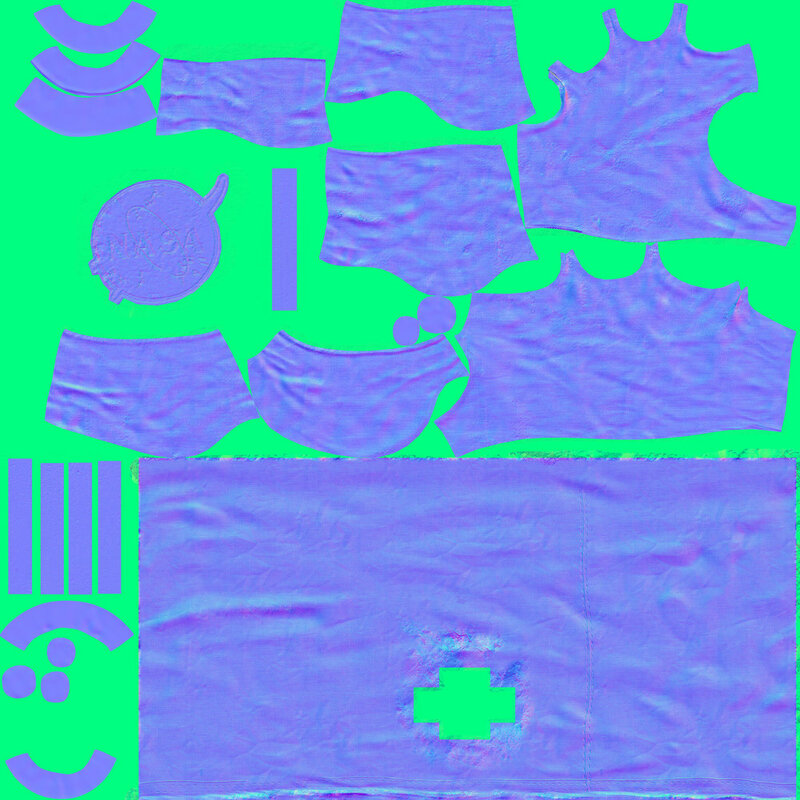 After the asset’s shape and size had been resolved, it could proceed to the creation of UV and texture maps. A UV map allows the projection of flat images and textures, onto curved 3D geometry. Creation of the asteroids floating ambiently in the experience proved to be the most difficult developmental challenge. What seems like a vast and random asteroid field is actually one model of a rock, instanced (replicated) around the scene to create an illusion of natural randomness, Original creation of floating asteroids was fairly simple, three types of emitter were created; one for small, medium, and large asteroids. These emitters could be placed in the scene, and produce asteroids of a small, medium, or large type. Once in the scene the asteroids would be provided with random translation and rotation information. More complexity arose in addition of a more sophisticated method for collision. Player collision with the asteroids had at the start of development been a jittery, disorienting experience. The movement of the asteroids also failed to respect a collision with the player, and would continue traveling at the same speed regardless of interaction. As the asteroids had been split up into type (small, medium, large), a rule was added to each emitter checking if any asteroids collide with the player. If a player collision occurs, the collided asteroid bounces back as if a billiard ball. The small asteroids would bounce away more aggressively, the mid sized asteroids would bounce away more slowly, and the largest asteroids would barely bounce at all. This simple set of rules allowed the asteroids to react to player interaction, and allow for the experience as a whole to be more dynamic. Addition of audio to the Orbital experience was of the utmost importance. Creation of the script had been made simple thanks to the pattern of ‘The Hero’s Journey;’ and Maggie Gough (a senior voice actor in the Theatre Arts department at Virginia Tech) was hired to record the space station commanders narration. This narration was recorded at innovation space on a malfunctioning microphone. Realizing the pops and hisses coming from the malfunctioning microphone could be useful in adding a more realistic tone to what should sound like a pilot’s microphone. Sound effects were edited into short files, that could be triggered and looped. For example, to create the breathing sound effect five separate breath sounds were imported. A script would then randomly select between these five possible breaths every three seconds. Allowing the breath sound effect to seem natural and random, without requiring a ten minute audio file. In an attempt to push the immersion further, a dust mask was to be worn underneath the head mounted display. This replicates the feeling of a breathing apparatus, and would allow the loud breathing sound effect to sound more natural. Addition of this narration into the Orbital experience was the final piece. It answered the question proposed above of why a character or player would want to do something. Why would a player want to make it to the space station? Because they wish to survive, return to humanity, and normality, successful. This wish for survival coaxes each player into participation with the Orbital experience. Quickly presented with the task of navigating an asteroid field, a player must first learn how to control their space suit. To avoid breaking the immersive experience, it was important to avoid any direct messages to the player. This means that their learning must occur through natural experimentation. In order to provide users with a duration of time to get accustomed to the controls, the commander of the space station overrides the player’s thrust control while discussing the situation at hand. This time not only allows the user to get accustomed to the sensitivity of the controls, it also allows the narrative of the experience to be introduced to the user. After mastering base controls of looking direction and roll, the player is then given control of thrust. Addition of this task allows the player to feel a sense of success having learned the rotation and roll controls, while adding complexity to the experience and keeping a player’s focus. Navigating through the asteroid field a player battles with their fuel level, hoping to save enough to successfully dock with the space station. The fuel level is visible in a fuel gauge to the lower right of the player’s helmet visor, to emphasize the importance of fuel conservation. This battle continues throughout the entirety of the experience, and keeps a player immersed in the challenge at hand. Eventually ending in a user succeeding and docking with the space station, or failing and slowly fading out of consciousness. Survival or death; the success of the hero is written by the player’s interaction with the experience. The Orbital experience was first presented to the public on December 2nd, 2016. It was accepted as an enjoyable, immersive experience; thanks in large part due to the application of ‘The Hero’s Journey.’ Thinking less about ‘how’ a player moves through an experience, and more about ‘why’ they would want to; proved to be invaluable for the creation of an immersive experience. Orbital on the surface is about a spacewalk, a short, dynamic experience. The core of Orbital however, is about the options presented to the player; life or death. The interest in participation being directly tied to the possibility of penalty, or death. Death in traditional gaming has operated more as a reset button, if the player dies they start at a checkpoint or the game is reset. In Orbital, the success of creating an immersive experience allows this penalty of death to seem more sincere. Lack of direct messages or dialogue with the player through text also assists in maintaining this facade of existence. Instead of showing the player a screen with an image of the controls, which would be arguably quicker and more direct; the player’s natural exploration of the controls is included in the timing of the Orbital experience. Use of ‘The Hero’s Journey’ to develop the timing of the experience also proved successful in player adaptation of controls. In it’s narrative steps (3, 4, 5) allowing for a time of natural education, adaptation, and exploration. This also made for a more accessible and inclusive experience, allowing players of differing experience and age to quickly get accustomed to the controls. No prior knowledge of virtual reality or gaming is required to be successful in the Orbital experience. As a long standing staple of traditional narrative, ‘The Hero’s Journey’ does differ slightly when applied to game design. Narrative structure in game design operates like a city street, while traditional narrative structure operates more like a river. In traditional narrative, the path of water along the river is linear and predetermined. The end of Star Wars for example isn’t going to change each time it is viewed, the story is already written. In narrative for game design; the city street presents options to the player through left and right turns, and relies on interactivity to build the journey through the experience. In ‘The Hero’s Journey,’ a threshold exists at the departure of a character from normality. After a need is established the character begins their journey into the unknown.This threshold between the known and unknown, is also a crossover point in player control. As a designer, the ‘known’ of story structure can be created (the start and possible ends of the experience). The unknown is then presented to the player allowing character control to write the story. Through developing Orbital a second threshold was also hinted at, between existence and digital existence. In the story structure for Orbital, the player awakens as an astronaut stranded in space. This could be seen as step one in ‘The Hero’s Journey’ of Orbital. Eventually, the primary threshold in the narrative allows the player to take control of the spacesuit, and make an attempt at survival. This primary threshold however, exists only in the timeline of a player’s digital experience. Where the ‘return’ to normality is the success or failure of docking with the space station. It helps to think instead of two separate narratives; one for the astronaut, and one for the player going through the entire process of a virtual reality experience. The secondary threshold exists when a player puts on the virtual reality headset. This digital awakening that occurs is a secondary transition into the unknown, where the ‘return’ of the journey happens after removing the head mounted display, and after the conclusion of the narrative of Orbital. Further study of this threshold is warranted to discover its implications on story structure. In summary; use of Joseph Campbell’s concept of ‘The Hero’s Journey’ to create an immersive experience has proven to reach far beyond the form of traditional long form narrative. As well as spurred future discussion regarding the double threshold that exists in virtual reality. In a separate exploration of how narrative pattern and ‘The Hero’s Journey’ could be used, even this page has been broken up into those eight signature steps. This circular pattern has cemented itself in my creative process, and life. I am excited to sail further into the vast sea of capability this narrative pattern represents.